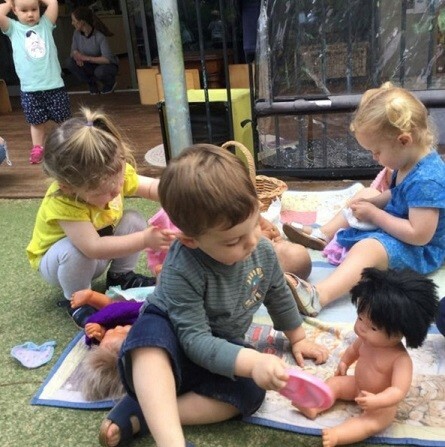 Gorton House babies have been using recycled resources as open-end materials for their play. 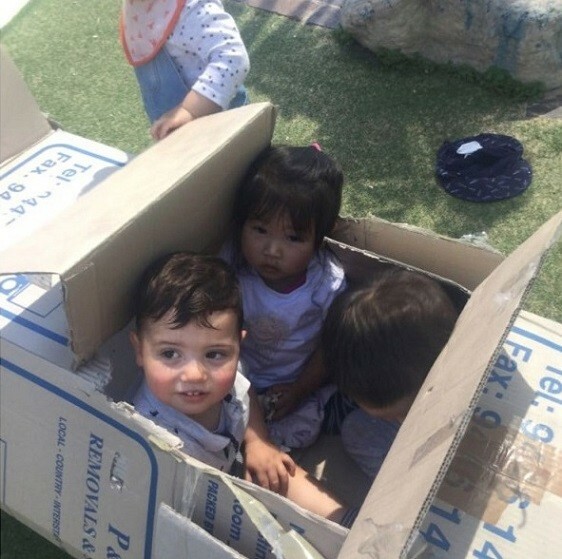 They have been using their imaginations and following their interests using a cardboard box as a tunnel, car and boat. The children have also been exploring and playing with multicultural dolls, learning about similarities and differences in gender and hair and skin colour. 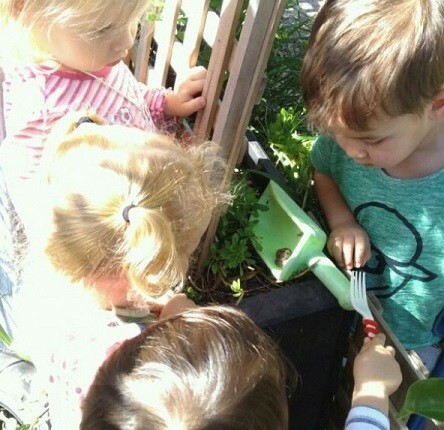 Our little ones also recently came to the rescue, helping a snail when it started to wander into a tyre and couldn’t find its way back out again. The children worked together and demonstrated their problem solving skills while coming up with ideas on how they could transfer the snail to a safe place. 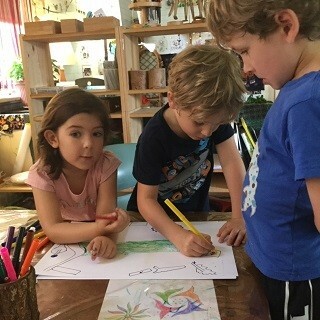 Learning spaces and intentional teaching experiences have been offered to the children to extend on their interest in finding treasure and making maps. The children helped to set up the learning space, giving them a sense of ownership and the opportunity to work collaboratively with peers. Some of the children worked on creating maps, identifying particular points of interest, while others used their imagination to sail the seas and find the pirate treasure! As the interest continued, a treasure hunt was set up on the main lawn where gold coins were strategically hidden. 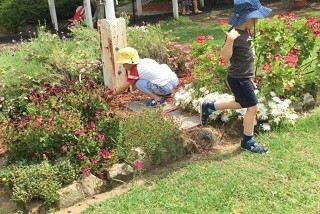 The children took turns and collaborated with one another in search of the treasure. The coins were gathered, counted and shared. 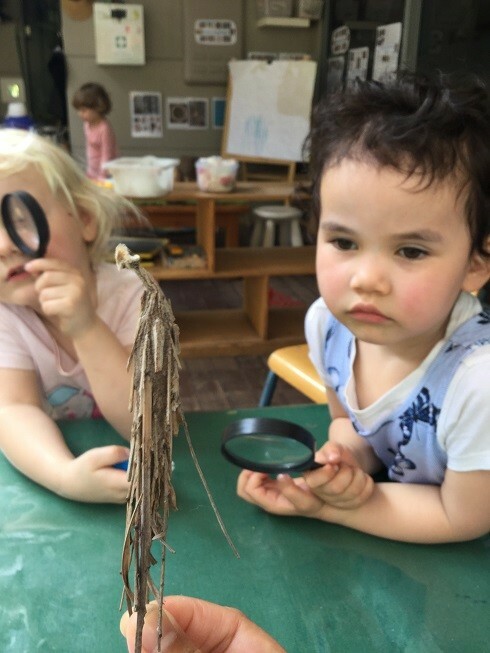 Such experiences help to demonstrate the value of play-based learning where, through play, children can build on skills such as maths based concepts including counting and sorting, as well as social skills based on collaboration and cooperation. The children are very eager to participate in movement games with their peers. 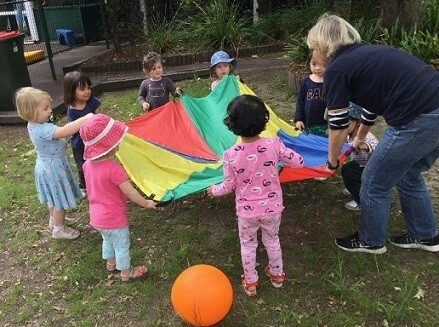 To continue to follow and build on the children’s existing skills in gross motor games, we played some games with the parachute. The children were giggling with delight as they discovered how high the parachute could fly up in the wind. The children worked together to see if they could move the ball up and down and very fast, and they continued to laugh as they chased the ball when it fell off the parachute. The children were also enthusiastic about singing and doing the actions to ‘Ring Around the Rosie’. What’s next? The children can choose to participate in group games to continue to facilitate their gross motor skill development. 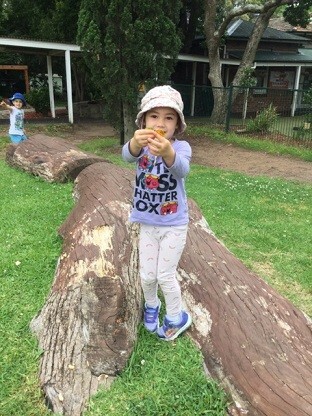 Educators will plan to continue to offer the children opportunities to participate in movement games in the outdoor environments in Johnson House Toddlers, as well as on transition visits to Johnson House Preschool and Robinson House. Last week, we created a ‘crash mat’ for the children to use to explore movements and develop ‘proprioception’, which is a sense of the relative position of one’s own parts of the body and strength of effort being employed in movement. The children had the opportunity to explore freely by using their bodies to jump onto the soft/bumpy surface. Soon they were jumping, crawling, and walking on the surface. Some children were curious, but were initially a little reluctant and uncertain of how to approach the new mat. However with encouragement, and after observing their friends who had had the chance to explore the mat over the week, they gained the confidence to participate. The children used their imaginative thinking by turning into ‘monkeys’. 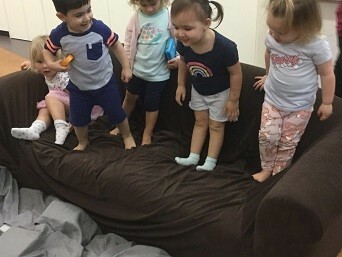 They role played and sang ‘Five Cheeky Monkeys’, taking turns to jump onto the mattress. It was enchanting listening to the children take charge of the game and sing out loud in confidence. Educators could see how the children connected with one another by holding hands, calling for each and smiling. Jumping is a motor milestone that require children to develop body strength, combined motor skills, balance, coordination and body awareness. The toddlers have been following the changes in our silk worms’ appearance as well as caring for them over the past two weeks. One morning a child brought in a cocoon from her garden at home to show her peers. 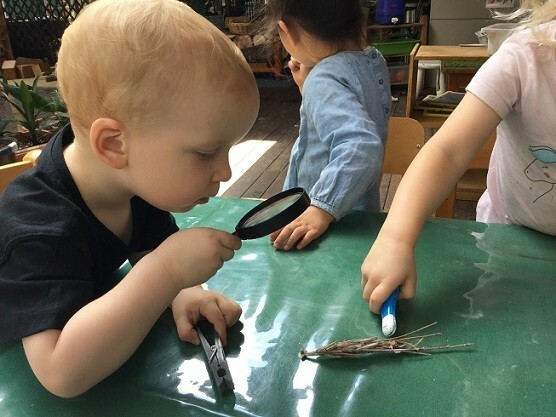 The educator provided some magnifying glasses for the children to investigate the cocoon. When they saw it, they immediately asked, “What is that?”, and the child replied “Sticks in the garden!”. The educator facilitated discussions amongst the children to develop a theory, hypothesizing about what the object might be. We know that it is a type of cocoon, but we are just unsure from what kind of creature is inside. “What could it be?” The child reminded her peers to be gentle with it and not to use any toys to tap the cocoon. They used their senses to describe its appearance and texture, using words such as “soft”, “brown”, and “light” as picked it up. Questions were asked – “A cocoon? Why is it made of sticks?” We continued to examine it and noticed that it has a brown cottony covering. We inferred that it could be a moth’s cocoon. But, still uncertain, we embarked on further research. We looked it up on Google, typing the keywords “cocoon in sticks.” Instantly it showed images of a similar cocoon to ours. It is apparently a Saunders Case Moth cocoon. Through this experience, children resourced their learning from peers, educators and use of technology. They transferred their knowledge from previous experiences to a new situation. They are continuing to show interest in their environments, especially with living things and their habitats and showing respect for these. 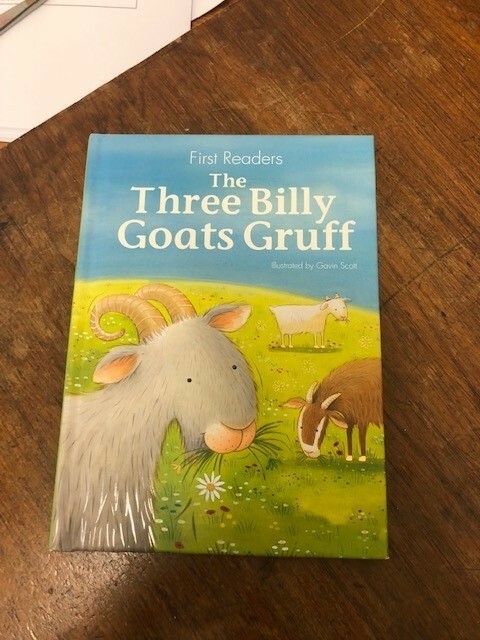 Some of the children at Robinson House have been reading the book ‘The Three Billy Goats Gruff’. This book has enabled us to continue to connect with each other as we find a cozy spot within the learning environment and listen with anticipation and excitement to the book. The children have become familiar with the story and they have started to identify some of the storyline as well as re-tell the story by looking at the pictures. Recently we have started to use drama to reenact the story with each child taking up a role of a character in the story. As we have been doing this many discussions around fairness and feelings have started to emerge. The children and educators have been discussing the possible feelings of the characters. This has encouraged us to share how some of these thoughts and feelings relate to us and to think about solutions and ways to help others as well as ourselves feel better. We have started to brainstorm ideas on how to create a play space for us all to use to extend our play and possibly create our own interpretation of the story. This will continue over the next few weeks. 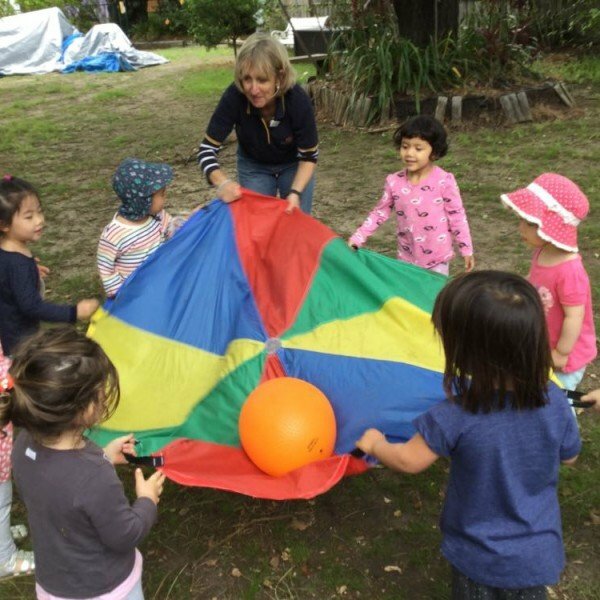 Family Day Care Sydney Wide educators have been looking for new and innovative ways to reduce, reuse and recycle items that would otherwise be discarded by making them into educational resources. 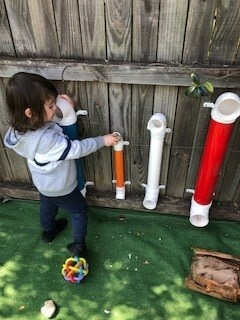 In the Inner West Hub, Niamh has installed pipes of different lengths and widths in her back garden, and her children have a basket of different sized stones to explore which stones will go down which pipe. This is a great problem solving activity for the children has promoted much mathematical discussion around size and weight, as well as helping develop children’s spatial awareness as they try to predict which stones will fit in which pipe.